Team John Gives a Preview to Benefit American Children’s Family Hospital | ARIAT Jumping with the Stars! 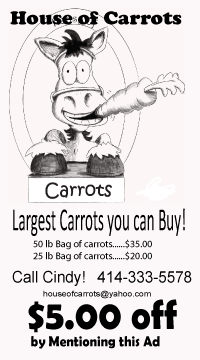 Country’s John and Tammy in the Morning, Andi Bill, Head Instructor of the Hoofer Riding Club and Bailey, the sweetest aged Holsteiner you’d ever want to meet, put on an exhibition ride, meet and greet and silent auction to benefit American Family Children’s Hospital. Hoofer Riding Club President, Sarah Springborn and John and Andi welcomed the crowd. Then everyone took a walk up the hill to the outdoor arena. John’s on-air partner Tammy Lee arrived in time to see John show what he’s been learning in his lessons. All cheered as John walked, trotted, cantered and jumped a course similar to what he’ll jump next week at the Midwest Horse Fair. Up the hill to the ring. Afterwards, the silent auction heated up and cake was served. John thought it was only right that Bailey have a little cake! About $400 was raised in donations and silent auction sales. The ARIAT Jumping with the Stars! 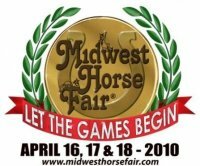 team that raises the most funds, has an additional $5,000 donated to American Family Children’s Hospital in their name by the Midwest Horse Fair. The race is on! To donate on behalf of your favorite ARIAT Jumping with the Stars! celebrity click here. John and Bailey over the crossrails. Tammy with water and camera at the ready.